With names like Serena Williams, Lindsey Vonn, and Ronda Rousey dominating today’s sports headlines, it’s easy to forget that a mere 50 years ago we were having an entirely different conversation about women and sports. Back then, the conversation was centered around women’s ability to play sport. The loudest opponents claiming women’s frail and delicate bodies could not handle serious athletic events. Jump forward to today and women athletes are fighting for better pay and for contracts that rivals that of the men. So naturally that has us wondering, how did we get here? The quest for gaining true equality for women’s sports started in the 1943. The U.S. was in the midst of World War II, and baseball was, at the time, our most popular, unifying sport. In the absence of enough men to keep the nation’s professional baseball league in action, the first ever professional female sports team known as the All-American Girls Baseball League was born. The league kept going for more than a decade, with attendance reaching over 900,000 fans by the late 1940s. The war’s end coupled with the rise of televised major league games eventually led to female players retiring their gloves after the close of the 1954 season. 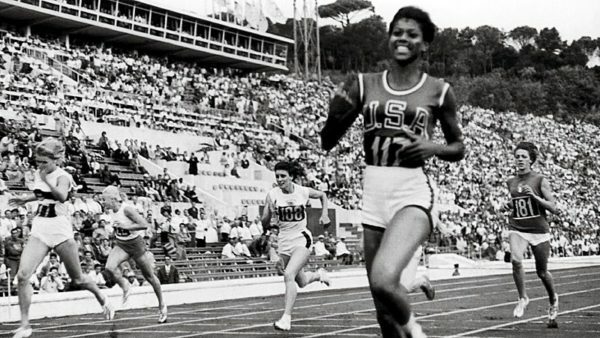 The American hero of the 1960’s Olympics in Rome turned out to be a heroine – African American sprinter Wilma Rudolph. After the U.S. Men’s track and field team failed to win events in which it had monopolized for decades, Wilma Rudolph became the star of the Olympics when she captured three gold medals. Rudolph, the first woman to win three gold medals in track and field, is credited with changing the prevailing perspective on women and sports. By 1962, the Division for Girls and Women in Sport (DGWS) altered their policy in favor of the existence of college level competitive sports. Resulting in an increased number of opportunities for and level of competition available to female athletes and coaches. The later part of the decade was witness to Kathrine Switzer becoming the first woman to officially enter and run the 1967 Boston marathon; shortly after starting, Jock Semple, director of the race, was photographed attempting to rip off her number, 261. President Nixon signed Title IX into the Education Amendment in 1972. Title IX required high schools and colleges to provide equal opportunities for all students. Initially, the NCAA attempted to dissuade the implementation of Title IX within the sporting world, stating their perspective that athletic departments were exempt from the law since they did not directly receive federal funding. 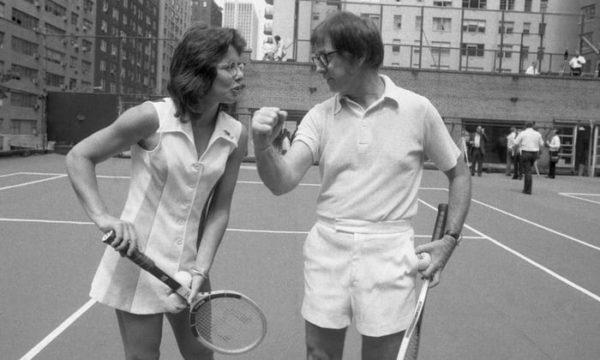 Then a year later, in 1973, Billie Jean King beat Bobby Riggs in the Battle of the Sexes. 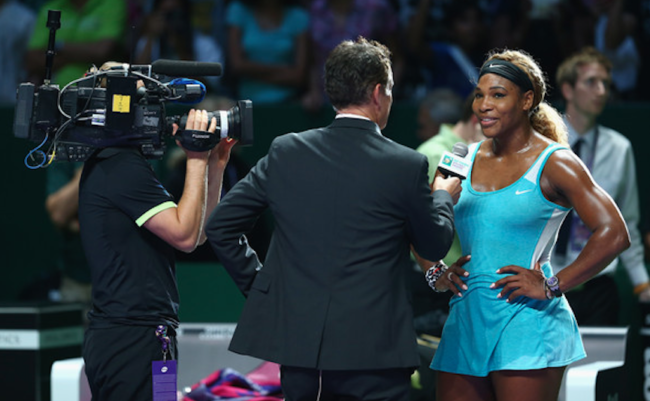 The event was watched by an audience of more than 30,000 in-house while 90 million more tuned in via television. By 1979, a military ban in Brazil was lifted, allowing women to officially participate in organized soccer for the first time. During the 1970s, participation in college level women’s sports increased nearly seven fold during that same time period, with nearly half of these students receiving at least a partial scholarship through a Division I NCAA school. Thanks in large part to Title IX, more women and girls are participating in sports than ever before, leading the NCAA to endorse championship games for women’s collegiate sports in 1981 and turning the conversation about women and sports to conference play. Colleges now offer women an average of more than eight sports to choose from, compared to a mere two and a half back in 1972. Forty three percent of all college athletes were women in 2001 as opposed to 15 percent before Title IX’s implementation. Scholarships for women have skyrocketed, although proportionally, more funding is still available for male athletes. At the secondary level of education, nearly three million girls participated in at least one sport during the 2002-03 school year, whereas less than 300,000 did so in 1971. One may venture to guess that many female members of the current generation actually take the option of play for granted, as these girls have been raised by mothers who were likely involved in athletics and clearly encourage their daughters to participate in the sport(s) of their choice. 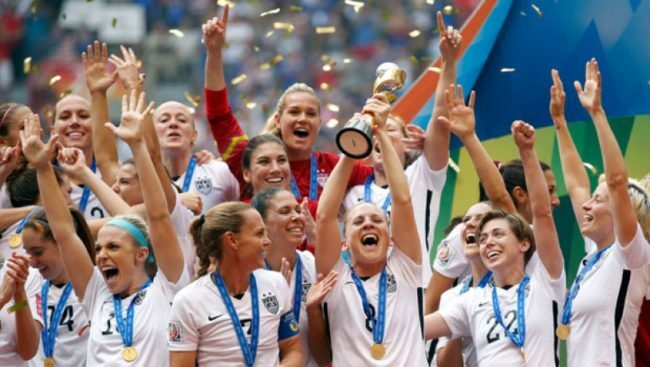 The fight for true equality for women’s sports continues but now the conversation is centered on media coverage, better pay, and contracts that rivals that of the men’s national teams. Media coverage of women’s sporting events is dreadfully low, and the average salary of female athletes is a small fraction of that provided to men within the same sport. Gratefully, championship teams have begun to band together in the quest for fair compensation, and the tides are indeed beginning to shift. Those of us on the sidelines can take heart in the knowing that as more people attend female sporting events, the media, department heads and more will receive clear messages regarding their importance. 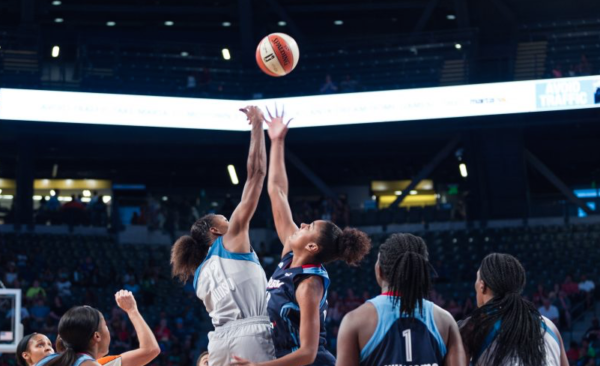 When it comes to the pros, women’s teams exist for an impressive number of sports, yet much work remains to bring the female pay scale and media coverage up to par with that of the men. Salary discrepancies are appalling; the average NBA player’s salary is a whopping 70 times that of the average pay offered to WNBA players. Female athletes in the world of soccer and golf fare a bit better but still lag far behind, receiving on average of 14 and 17 percent, respectively, of what men receive in the same field. Media coverage of women’s events, or rather, the lack thereof, is just about as shocking as female salary statistics. 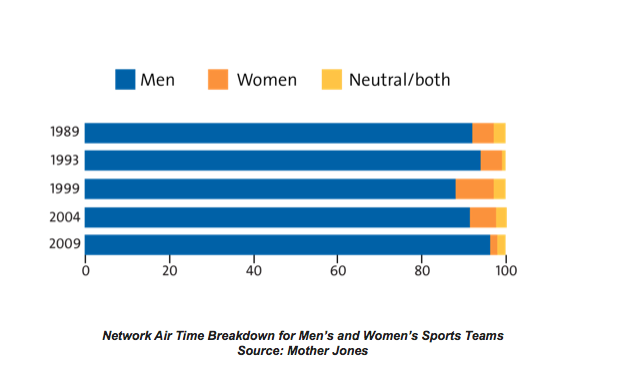 Most of the major sports networks devoted less than five percent of air time to female events in 2014 and coverage has actually been in decline for the last 25 years. With so many additional female teams and players, why the lack of media coverage? Not surprisingly, the answer boils down to money, or more explicitly in this case, the concern that ratings will go down. Will we soon see a shift in the tides? Professional athletes from around the world have begun to come together and stand firm in their resolve for higher pay and better accommodations. The current USWNT 3X World Cup Champions have been serving as role models in this regard, having inspired the newly crowned gold medalists in women’s hockey to hold the hockey federation accountable for promises made to the team. The hockey pros even threatened to boycott the entire world championship series if their demands were not met, and in the end, their efforts paid off. The saying “The tail wags the dog” is highly applicable in the world of sports TV, and as more people show an interest in women’s events, networks will inevitably provide more coverage. In an industry driven by paid advertisements, endorsements and beyond, is it any surprise that media coverage is all about the bottom line? For those of us that long to see the day when athletes of all genders are paid equally and are provided similar amounts of media coverage, one of the most important forms of “protest” is to attend as many female sporting events as possible. Take friends and family, and teach children that watching women and girls play is just as interesting as watching men. Over time, these small steps, will make the next 45 years even more positive for female athletes and we’ll build on what Title IX started decades ago. Written by Kim Ramirez – Co-founder and CEO of FactSumo, your Digital Learning Player.